The Planetary Society is built upon the shoulders of legends. 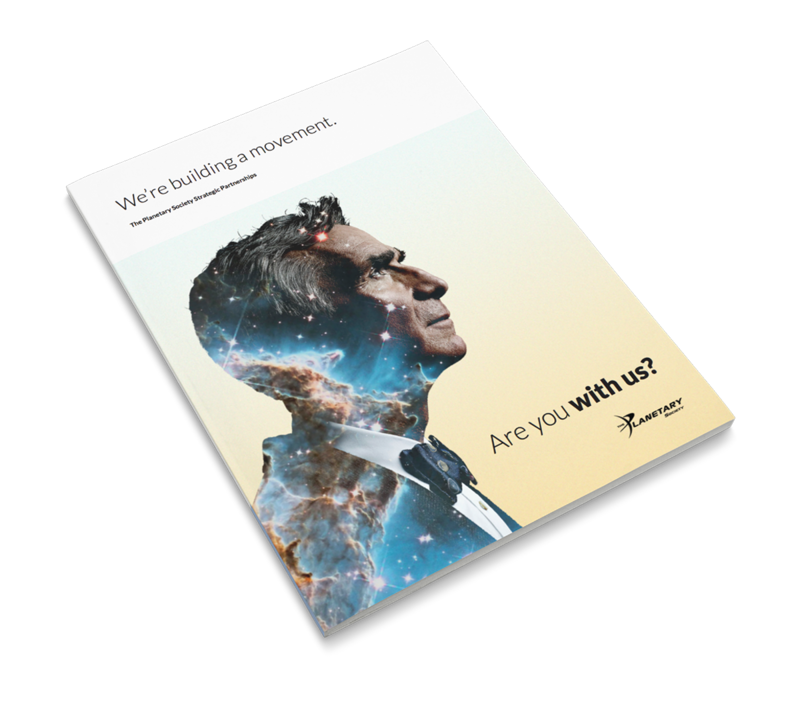 Founded by Carl Sagan in 1980 and now led by Bill Nye they are the world’s largest and most influential non-profit space organization – and they’re growing. 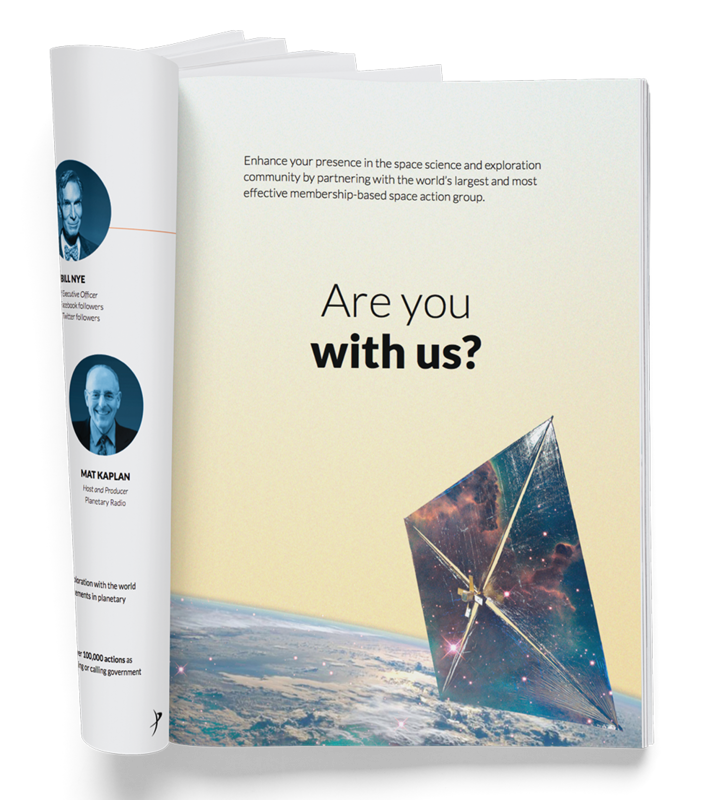 As part of the growth strategy, they are forming partnerships with some of the most notable private space companies. 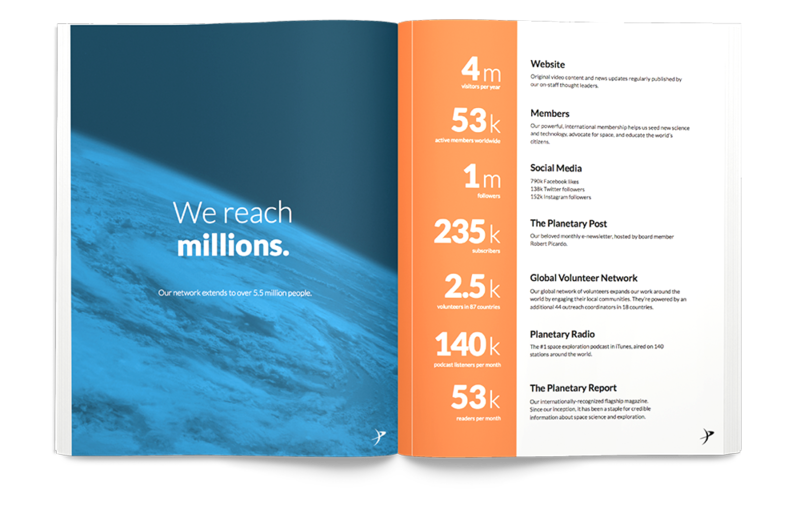 We worked with their Partnerships Team to develop the documentation that will act as the liaison between The Planetary Society and their new partners. The result is bold while clearly and beautifully communicating what is at the core of the society’s efforts.